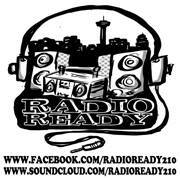 RadioReady210 consists of Jason Green and Willie Summers, who work together to make a combination of Hip-Hop/Rap and RnB/Soul in their music. The concept is actually rather clever, and reminds me of MKTO’s technique (except more contemporary in sound). My favorite song by the duo is Your Ways, which features a perfect balance of Rap and RnB. The rap verses are quick but stay relevant and are aimed at one woman throughout. The hook is catchy and upbeat, and the professionalism of the song’s sound due to the vocals complimenting the modern Hip-Hop beat (and the beat having the same effect on the vocals) makes it worth a listen. The song is under two and a half minutes, which would be my biggest complaint. I like the song enough to want to hear more perhaps one more rap verse (and better lyrical closure) and a longer sung bridge. The San Antonio-based duo should capitalize on this song’s sound and appeal and use it as a template for future works. If I had to compare the music to someone else’s sound, the Hip-Hop aspect reminds me of early The Game’s flow while the RnB provides a Jagged Edge-esque sound. I would recommend listening to their other tracks on their SoundCloud, but Your Ways is definitely my favorite by these two.